Who's getting into the Easter spirit? If you haven't yet, World Market will definitely get you there! 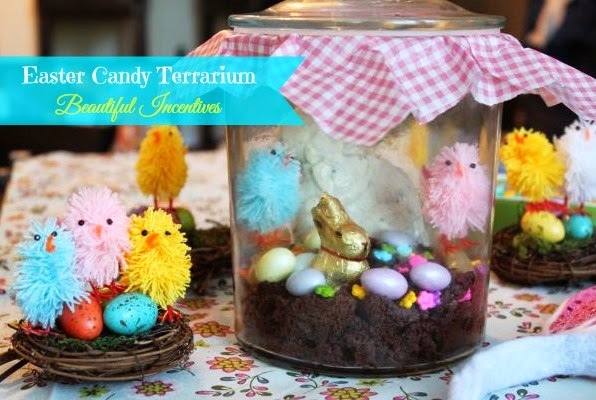 As an ambassador, I was provided the opportunity to put together another creative project and I thought it would be lots of fun to create an Edible Easter Terrarium. 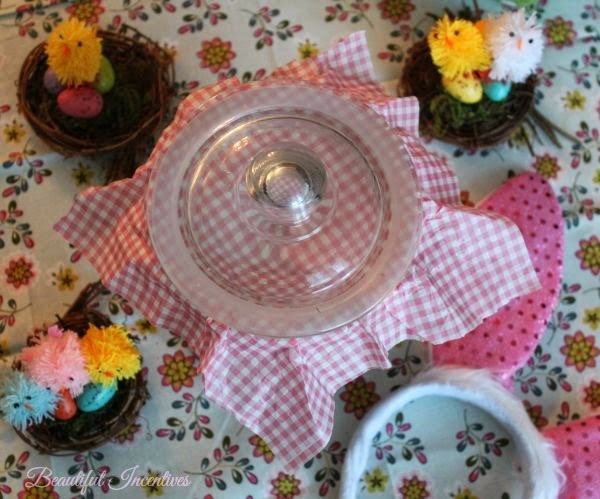 It makes the perfect gift for any candy and desert lover and equally a beautiful center piece or as part of an Easter Decor tablescape or a party place setting. When hunting for the perfect terrarium holder, I had so many options, It was hard to settle on one. I thought the best choice was one that could easily be reused for other things. I chose the Half Gallon storage Jar, as it's perfect to store things in later. Re-usables make the best gifts! 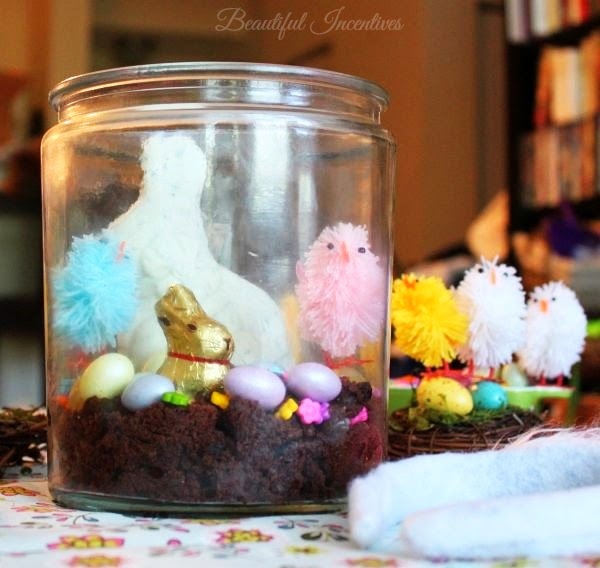 Once I had my terrarium bottle picked out, It was time to pick out the goodies in order to put together the Easter garden scene I had in my head. I used the cutest limited edition World Market Easter fabric chicks that I perched atop the cute Easter birds nests, small Lindt chocolate rabbits, pastel chocolate eggs, candy flowers, large white chocolate rabbit, green licorice to mimic mossy logs, and the Ghirardelli double chocolate brownies that I used to mimic dirt. Step 1- Bake the brownies as you normally would. Let cool and then crumble them up to resemble dirt or soil. Step 2- Take handfuls of the crumbles and pat them down into the bottle to look like soil for a garden. 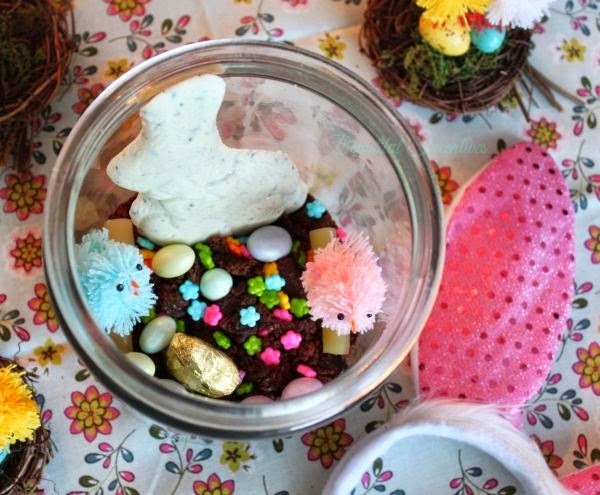 Step 3- Push the big rabbit, small rabbit and eggs into the "dirt"
Step 4- Add the flowers to make a bed on top. Step 5- Add two licorice logs on either side and perch the fabric chicks on top. Voila! Your terrarium is finished. I cut a medium square sized piece of pretty pink gingham parchment paper to add more decoration and make it more presentable as a gift. 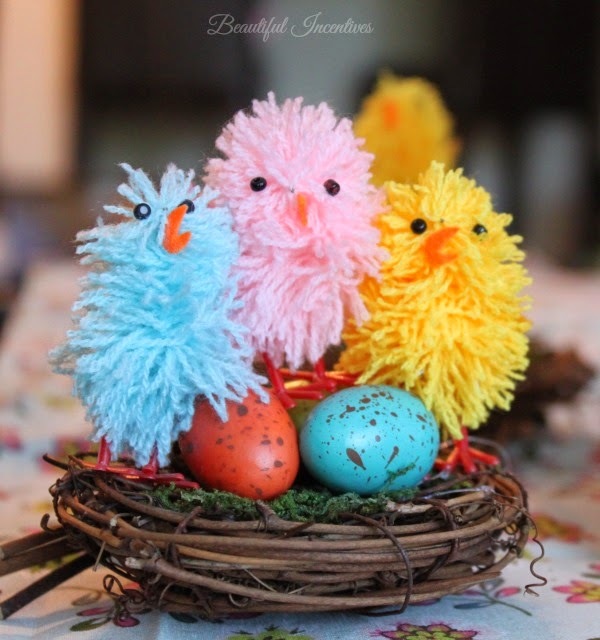 How freaking cute are these little chicks and nests? They all look like they're singing. And now it's giveaway time! 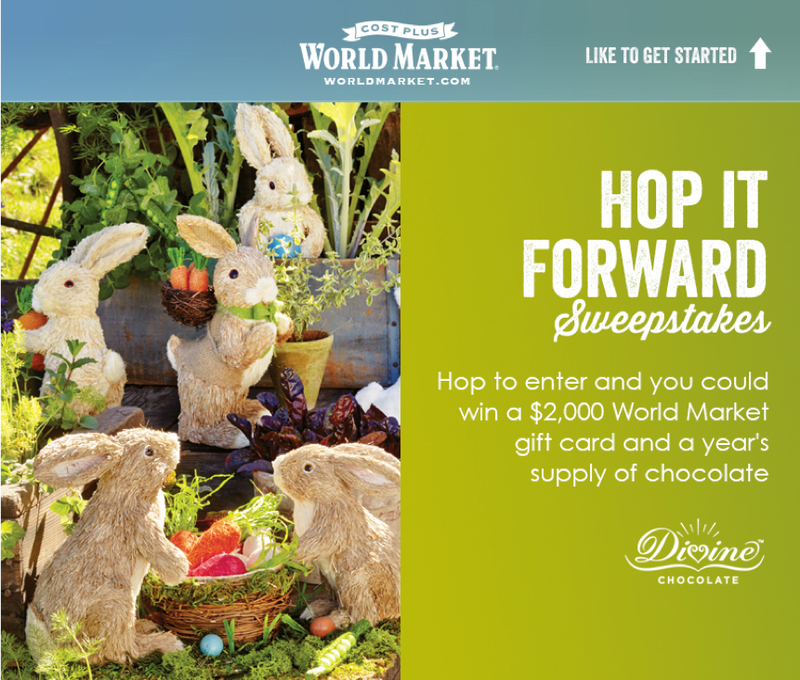 Help World Market Spread Random Acts of Hoppiness and enter for a chance to win a $2,000 World Market gift card and a Year’s supply of Divine Chocolate! There will also be 3 Runner Up Prizes for a $500 World Market gift card and Divine Chocolate! This post is sponsored by World Market and in accordance with FTC Guidelines. All opinions are always my own. Aww this is so cute! I love this idea.